Early to rise, early to yoga. Malina, the volunteer coordinator and our instant friend has been experiencing some back issues. 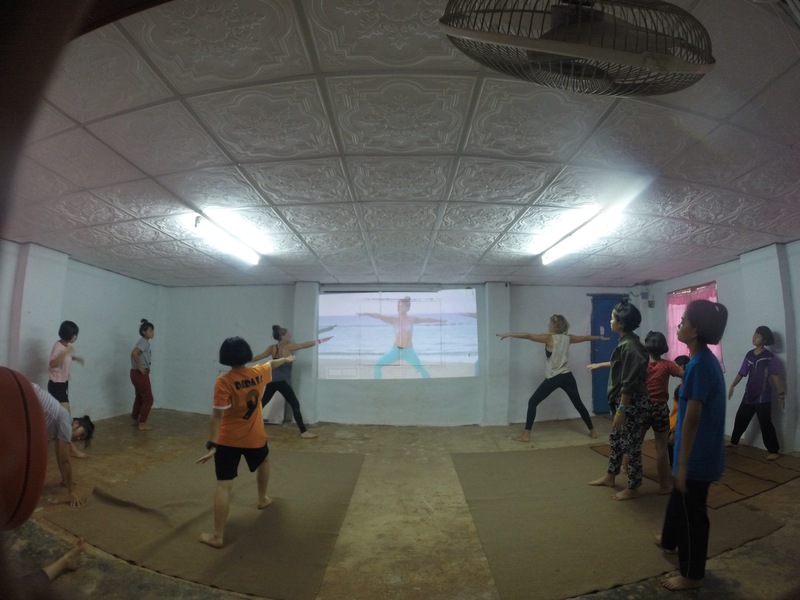 Naturally, when she asked us to take over her weekly yoga class we didn’t hesitate, OK maybe we did a little, but we didn’t want to say no. 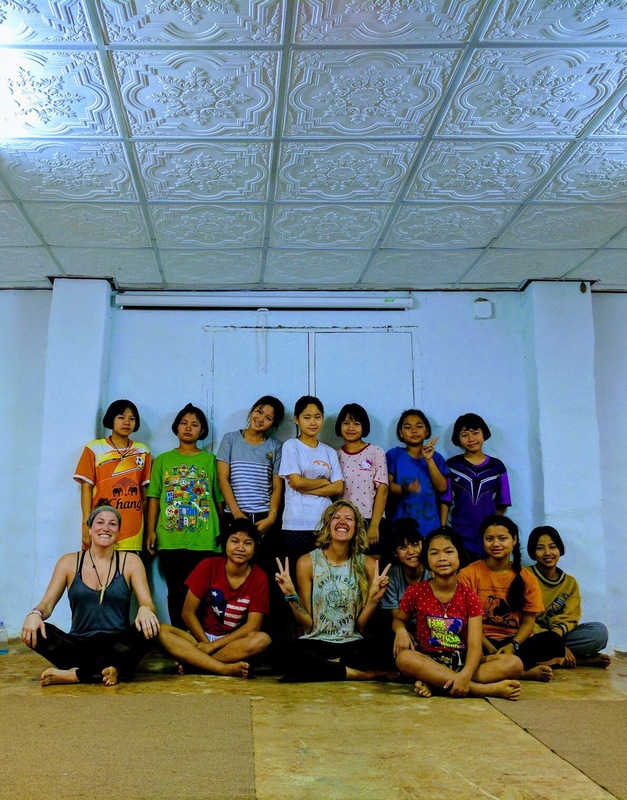 We love yoga and it’s been a regular form of mediation and exercise for the gypsies while on the road. When we have access to the Internet, we follow the California based, Tone It Up, girls. We found our favorite series and projected the sequence on a large wall, the same place we have film night. Linds and I stood in front of the room and lead by example. 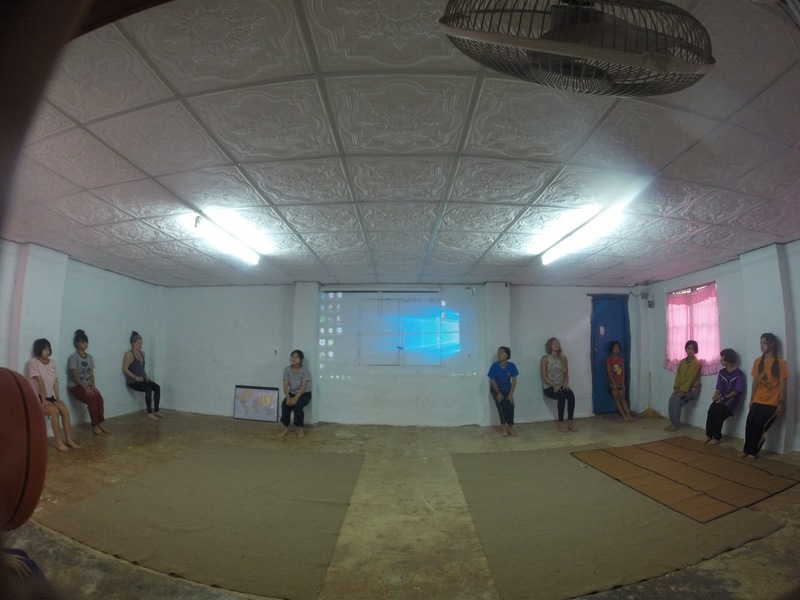 It was a challenge to fill the whole hour so we improvised with planks, wall squats, and more stretches. 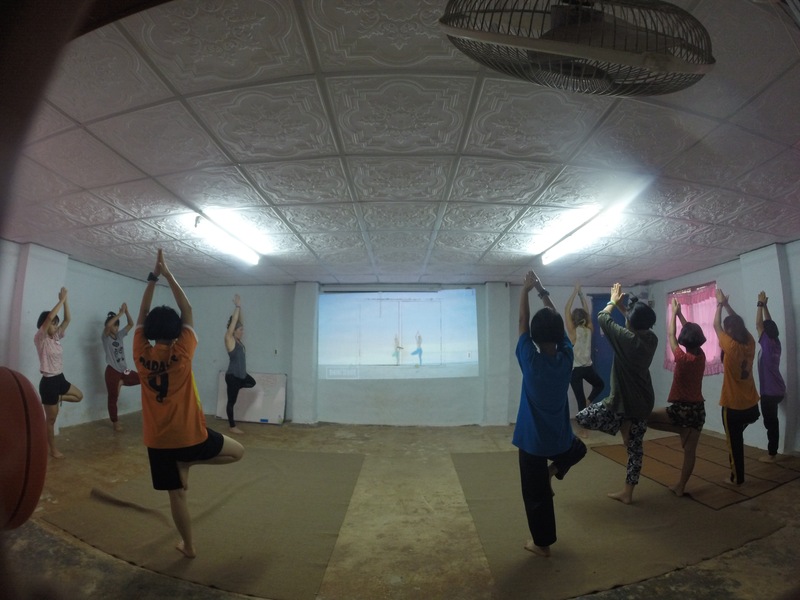 We later found out the girls really enjoyed our early morning yoga sesh. 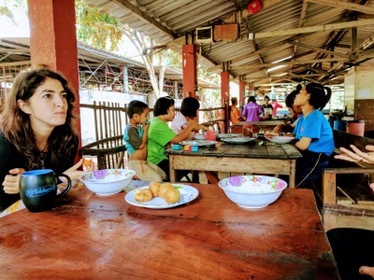 After breakfast we were asked to go through the recent donations. Anything that can’t be used here is sent and donated to an organization in Burma. We were right back to our roots, digging and playing in clothes. We even had a small and hilarious fashion show with the girls. In preparation for the night market we sorted jewelry and stuffed animals. 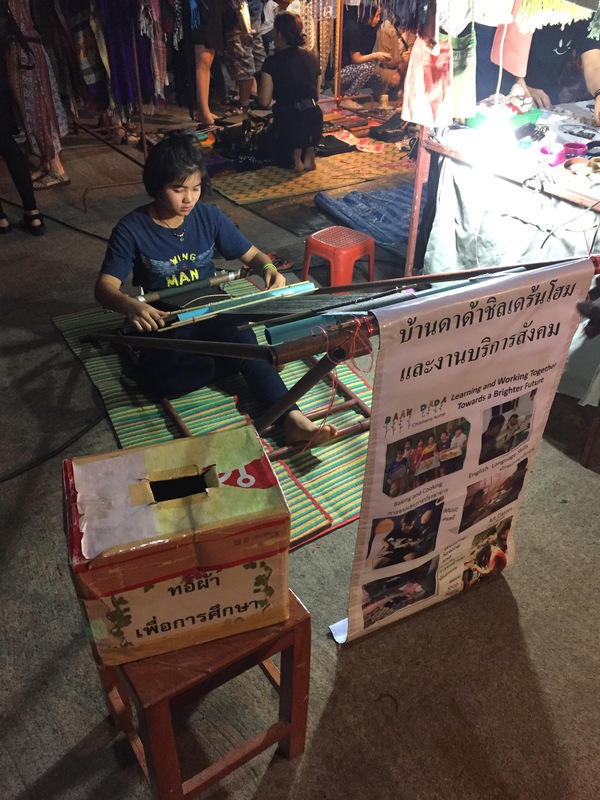 Each week the girls set up a booth in the town’s night market. It’s encouraged for everyone to find and show an interest in a trade. 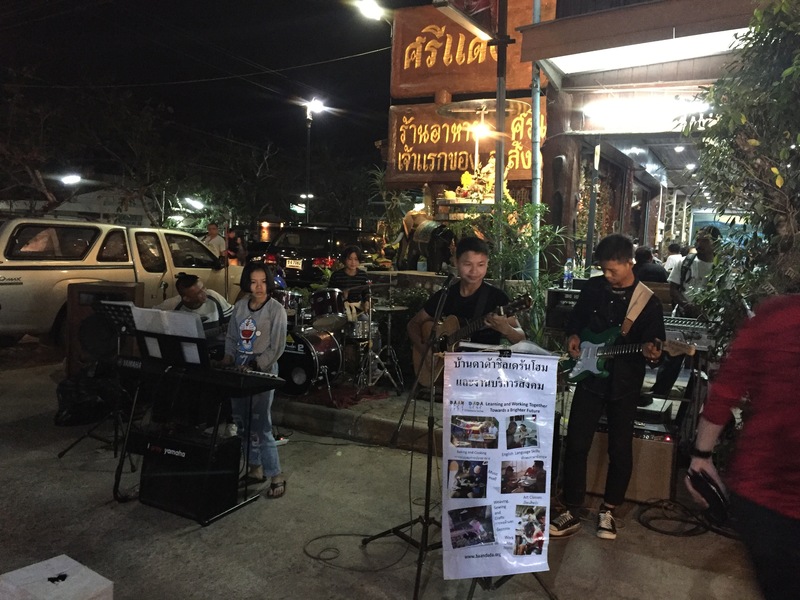 There are two businesses at the market from Baan Dada, well three including the band (who play a set and set up a donation box). 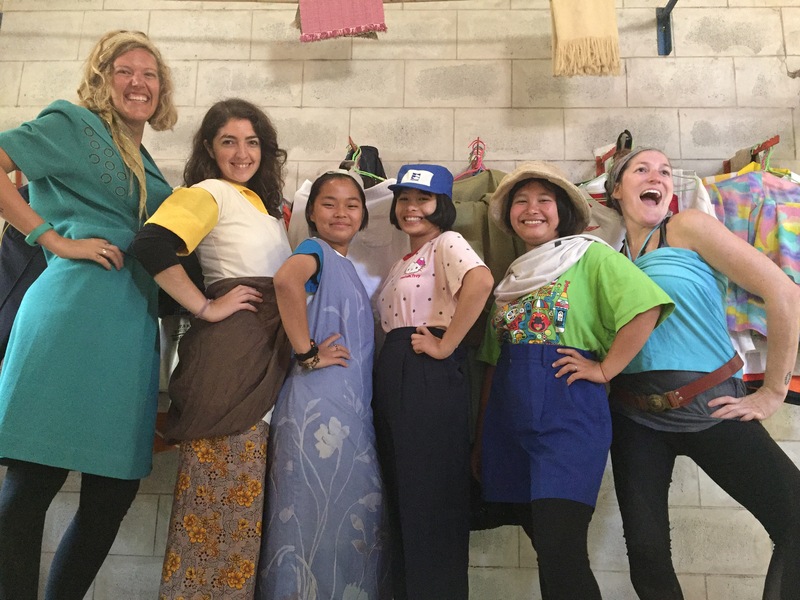 There’s one group of girls that sell donated jewelry along with their weaving, scarves, and handbags. This group enjoys weaving. 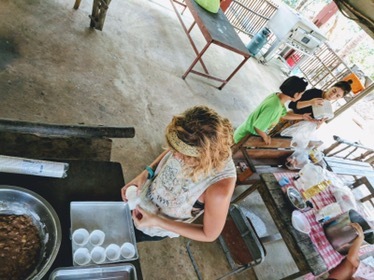 They learn and sell their homemade goods at the local markets. 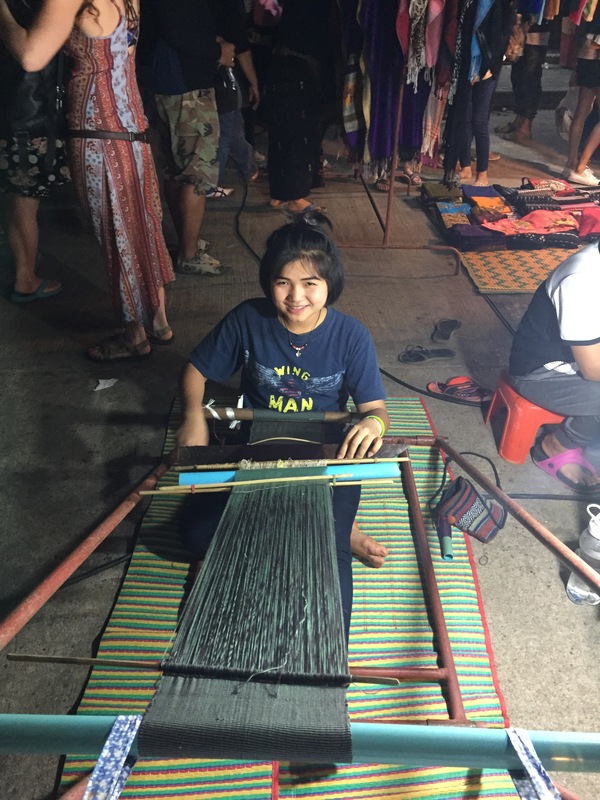 Some spend as much as three days to make beautiful, hand woven scarves and handbags. We spent the morning getting everything together and ready to pack the bus. Afterwards, we assisted another group of girls that are interested in baking. Their vegan chocolate cake is famous around here! Linds and I wanted to teach them a new recipe. Using recently harvested bananas we made banana cupcakes. We doubled the recipe because they were also going to be sold at the market. The cupcakes were such a big hit around here that less than half the order made it to sell. We didn’t care as long as everyone was smiling. 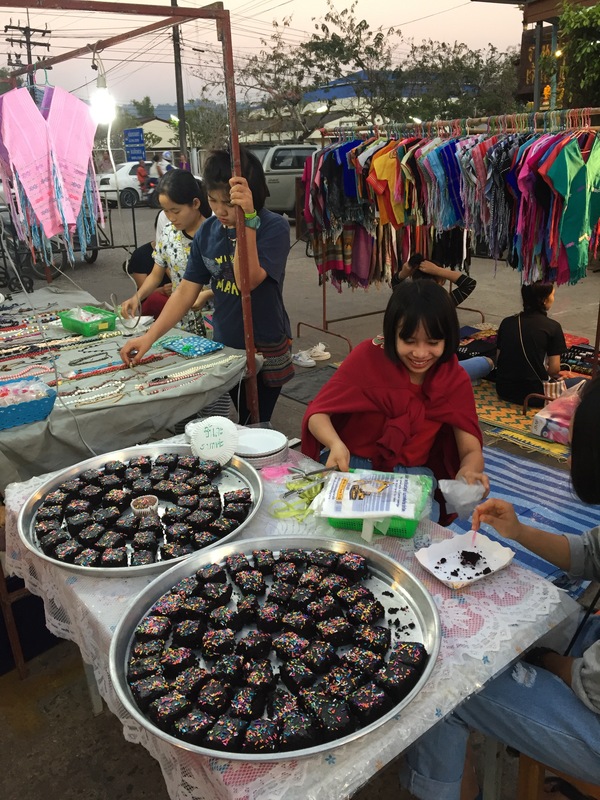 Selling at the market teaches the girls business. 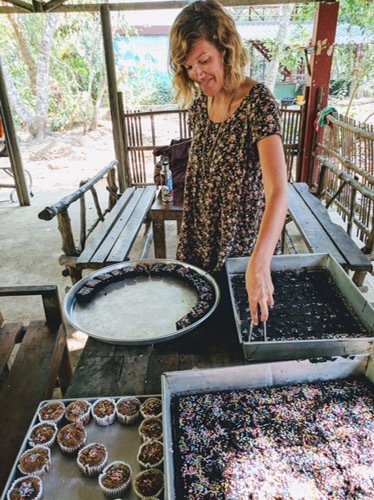 Baan Dada gave the group enough money to buy the initial ingredients and each week they learn what they need for the next week’s products and divide up their profits for their well earned pocket money. Each weekend they have the same parking spot on the corner. We pulled up and everyone got right to work, unloading, building and performing sound check for the band. It totally reminded us of our Gypsy Givers’ pop up shops. This was nothing new for us, it was almost too funny that we’ve traveled all this way to feel right at home. 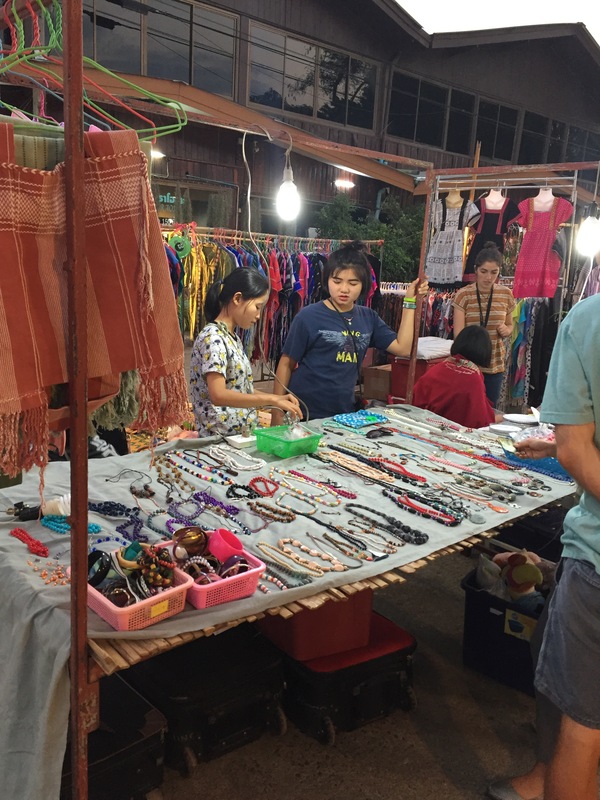 The night market brings in a good mix of tourists and locals as there are a ton of things to do, listen and dance to the Baan Dada band, shop local threads and a lot of food to eat. 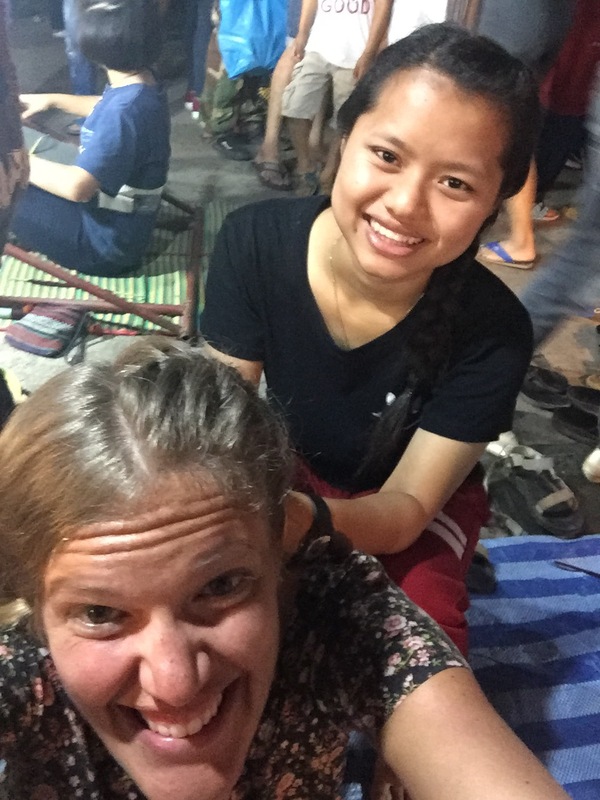 We sat behind the booth giggling with the girls, bargaining for a traditional style Karen skirt and braiding each others’ hair. We called it an early night because we had to be on the road at 6 am the next day for a cycling fundraiser. That’s 6 am Thai time. Will you be near Phuket any time next week? No not until April. 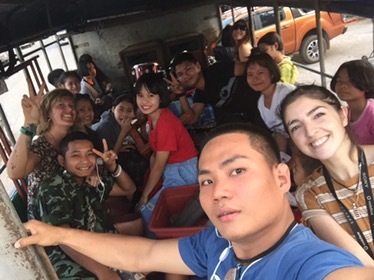 We are up in Chiang Mai.